Posted on Tue, Mar 6, 2012 : 6:46 p.m. Note: This story has been revised to add information, including the complete text of the email from Arthur Williams. The Huron High School principal says local teens need to be told about the dangers of the cinnamon challenge. In the email, Arthur Williams states a local youth recently was hospitalized for multiple days as a result of participating in the challenge. His email said the activity can cause coughing, choking, vomiting and hypoxia. The cinnamon also reportedly can be aspirated into the lungs and cause pneumonia. The cinnamon challenge involves trying to swallow a teaspoon of cinnamon in less than 60 seconds, according to various websites promoting the challenge. Human salivary glands cannot produce enough saliva to properly swallow the spice without the aid of liquids. Williams' email states the challenge involves a tablespoon of cinnamon. According to the Cinnamon Challenge Facebook page, the “first symptom” of inhaling the cinnamon is “dragon breath,” when the challenger exhales a large cloud of cinnamon. Spokespersons with the St. Joseph Mercy Saline Hospital and the University of Michigan Health System said the hospitals have no evidence of this trend seeping through their emergency departments. So far, neither hospital has admitted patients for inhaling cinnamon, respective media officials said. “We haven’t heard anything about anyone being hurt or harmed in any way,” added Susan Cerniglia, public information officer with the Washtenaw County Health Department. She said the department might not hear about such incidents, however. Unlike with infectious diseases, doctors and hospitals are not required to report such problems. Food challenges of this nature are not uncommon among kids. Others include eating a piece of bread in 15 seconds or eating 6 saltine crackers in a minute, both without liquids, and drinking a gallon of milk in less than an hour without vomiting for an additional hour. YouTube and Facebook are hotbeds for videos of teens and adults attempting these challenges. Williams pleaded with parents to talk to their teens about the cinnamon challenge. “Warn them that this is not a harmless activity and that there can be severe medical consequences associated with it,” he wrote in his email. He said this video addresses the dangers of the activity. This is Dr. Williams with an important message. We have become aware of an activity that is occurring in our community called the Cinnamon Challenge. We are trying to take a proactive approach in educating the Huron community on the dangers that exist in what may seem like a harmless teenage activity. The Cinnamon Challenge consists of attempting to ingest a tablespoon of cinnamon in under a minute without drinking any water. Many teens video tape the experience and post it to Facebook or YouTube. 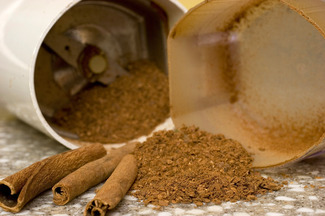 This can be a very dangerous activity where the cinnamon can cause coughing, choking, vomiting and hypoxia. The cinnamon can be aspirated into the lungs and cause pneumonia. Recently, a local youth was hospitalized for multiple days due to participating in the Cinnamon Challenge. Attached is a very informative video link that addresses the dangers of the Cinnamon Challenge. Please speak with your teens and warn them that this is not a harmless activity and that there can be severe medical consequences associated with it." Sat, Mar 17, 2012 : 10:17 p.m.
Why am I not seeing this on national news outlets to warn ALL parents of yet ANOTHER looney-toon thing that is sweeping and deluding our kids? The &quot;Cinnamon Challenge&quot; website is a true abomination and while I would NOT want a &quot;censored&quot; internet, these people who put up the site are just plain dangerous to kids who just don't have the life experience to know better. Ingesting ANY POWDER without FLUID is more than dangerous, it's playing Russian Roulette... The damage from any substance is obvious but when you add that to the fact that cinnamon can and does burn in concentration then you have a DISASTER. Ann Arbor, scream louder. Sat, Mar 17, 2012 : 10:15 p.m. Sat, Mar 10, 2012 : 6:37 a.m.
Never would have guessed the Internet famous cinnamon challenge would become so dubious, kind of reminds me of the kids smoking smarties Internet joke. Wed, Mar 7, 2012 : 8:03 p.m.
J. Zarman, the photo caption you refer to has been amended. Wed, Mar 7, 2012 : 7:17 p.m.
for those of you making light of this situation, I hope you never come home to find a loved one dead at the hands of a silly challenge that everyone seems to be making such a big deal about. Wed, Mar 7, 2012 : 7 p.m. This story continues to be in error. annarbor.com continues, even after updates to the original article, to propagate its misquote of Dr. Arthur Williams. An hour ago, annarbor.com revised the original story. But they did not correct their mistakes. Even 19 hours after posting the original story, included text *still* mistakenly reads, &quot;The Huron High School principal says local teens need to be told of the dangers in trying to digest a teaspoon of cinnamon in less than 60 seconds.&quot; This is not what Huron High School Principal Dr. Arthur Williams said. The Huron High School principal actually said the following..... &quot;The Cinnamon Challenge consists of attempting to ingest a tablespoon of cinnamon in under a minute without drinking any water.&quot; (Source: email from Dr. Arthur Williams, to Huron HS parents &amp; guardians, March 6, 2012.) Such misattribution is without excuse. Staff writer D. Arndt tried to deny any misattribution in a reply to my original (12:32 PM on March 7, 2012) post, above. My hope is that this publication would correct its errors, rather than simply denying any mistake was made. Wed, Mar 7, 2012 : 7:07 p.m.
That's no longer in the story. Wed, Mar 7, 2012 : 5:59 p.m. This story has been updated. The following sentence, "Williams' email states the challenge involves a tablespoon of cinnamon," was added to the story, as was the complete text of the principal's email to parents. Wed, Mar 7, 2012 : 5:32 p.m. This story is in error. It misquotes the original source, Huron HS Principal Dr. Arthur Williams. Here is what Dr. Williams actually released..... &quot;The Cinnamon Challenge consists of attempting to ingest a tablespoon of cinnamon in under a minute without drinking any water.&quot; (Source: email from Dr. Arthur Williams, to Huron HS parents &amp; guardians, March 6, 2012.) annarbor.com continues to misleadingly quote Dr. Williams as saying &quot;a teaspoon&quot; of cinnamon, rather than the accurate &quot;tablespoon&quot; of cinnamon. Wed, Mar 7, 2012 : 6:09 p.m.
J. Zarman, the story does not attribute the measurement to Arthur Williams. We found conflicting reports on the Internet about whether this challenge is supposed to be done with a teaspoon or a tablespoon. And obviously I say &quot;supposed to be&quot; lightly because I'm definitely not trying to say this challenge should be done with either. Most websites we found said teaspoon. But thank you for alerting us to the fact that we should have pointed out the discrepancy in the article. Wed, Mar 7, 2012 : 5:05 p.m. Wed, Mar 7, 2012 : 3:20 p.m. Wed, Mar 7, 2012 : 3:02 p.m. I think this can go into the category of rainbow/skittles parties. Wed, Mar 7, 2012 : 2:47 p.m. I just checked; my forty-year-old banana peels are still too wet to light. Wed, Mar 7, 2012 : 2:40 p.m.
Clearly this calls for a zero-tolerance policy on cinnamon possession. As a parent of two &quot;young adults&quot;, both in college, I appreciate this information. Also, I did not know nutmeg was &quot;toxic&quot;. Growing up sheltered and in a warm, loving home, (yes, during the 70's), I never had experience with substance abuse of any kind. It is interesting, and sad, to see the things people do. I hope and pray my boys have the strength to walk away from these types of challenges whenever faced with them. Wed, Mar 7, 2012 : 2:18 p.m. Bunch of wimps. Back in the day Cool Hand Luke did 50 hard boiled eggs in under an hour. Wed, Mar 7, 2012 : 2:09 p.m. I don't know about the cinnamon challenge, but I think it's pretty standard that if you try to eat ANY dry ingredient of that type in quantity, you will choke - one of our sons, at a younger age, attempted to eat a similar quantity of flour, with similar results. Wed, Mar 7, 2012 : 2:05 p.m.
What happened to the good ol' days when life was simpler and we only had challenges like the saltine cracker challenge and the gallon of milk challenge? Wed, Mar 7, 2012 : 2:03 p.m.
Teenagers = Idiots. It is a fact and will never change. Back in my day it was Clove Cigarettes and wippets. Wed, Mar 7, 2012 : 6:37 p.m.
yeah, and smoking banana peels. Wed, Mar 7, 2012 : 1:58 p.m. Wed, Mar 7, 2012 : 1:18 p.m.
we used to try to eat 3 prezels in 60 seconds. Same concept, a lot safer. Wed, Mar 7, 2012 : 12:38 p.m. Wed, Mar 7, 2012 : 12:20 p.m. Wed, Mar 7, 2012 : 11:52 a.m. Wed, Mar 7, 2012 : 9:45 a.m. The next thing you know these youngsters will start trying to see how many they can fit into a VW or a telephone booth. When will it end? Laughing - that's right, those aren't around any more. Maybe in museums. Wed, Mar 7, 2012 : 6:08 a.m. Wed, Mar 7, 2012 : 5:52 a.m.
Not every lead that gets researched needs to become a story, much less a headline. Your sources are saying there is no problem here. I would like to see you guys work on editorial standards. Wed, Mar 7, 2012 : 3:33 a.m. Anyone who would PURPOSELY put something harmful or potentially harmful into their body deserves what ever happens to them. Some times life lessons can cost you YOUR LIFE. And if you are in your 30's and older and you can sit here with a straight face and say &quot;hey, we did stupid things when I was kid&quot;, consider yourself lucky. I know people who weren't so lucky. I'm sure you do too. Wed, Mar 7, 2012 : 5:41 a.m. Wed, Mar 7, 2012 : 2:41 a.m. These are your lungs. These are your lungs after taking the cinnamon challenge. Any questions? Wed, Mar 7, 2012 : 2:39 a.m. This calls for propaganda. Anyone up for: Cinnamon Challenge Madness? We'll shoot this one in color. Wed, Mar 7, 2012 : 2:32 a.m.
Its a silly stunt to attempt though lets see - when you eat food you risk coughing, choking, and maybe even vomiting and hypoxia from choking... I had a co-worker choke and have hypoxia from eating a Tootsie Roll.... &quot;:The cinnamon also reportedly can be aspirated into the lungs and cause pneumonia.&quot; My research on NIH site doesn't bear this out: &quot;bacteria, viruses, and, less often, fungi. Most of the time, the body filters germs out of the air that we breathe to protect the lungs from infection. &quot; &quot;hospitals have no evidence of this trend seeping through their emergency departments&quot; "We haven't heard anything about anyone being hurt or harmed in any way," added Susan Cerniglia, public information officer with the Washtenaw County Health Department. I bet in the 5-s-60s stuffing kids into phone booths and VW bugs, there was risk of hypoxia, brusing, abrasions, scrapes, etc.. etc... Its getting overblown kids. Wed, Mar 7, 2012 : 2:50 a.m.
Read up on aspiration pneumonia. Wed, Mar 7, 2012 : 2:28 a.m.
Do we really need to keep giving kids warnings like &quot;If you do something stupid and you lungs start to burn or you can't breath, go to the ER&quot;? Wed, Mar 7, 2012 : 2:41 p.m. Wed, Mar 7, 2012 : 2:25 a.m. Challenges like these are bad for your lungs, but they can taste good if you can direct your cough at a freshly buttered piece of toast. After your cough and vomit, you have a delicious treat waiting for you. But I prefer to try eat 100 peeps in less than 5 minutes. It's much safer (when I have my insulin by my side). Wed, Mar 7, 2012 : 2:18 a.m.
Read Piri Thomas's excellent book of 'Down These Mean Streets' ages ago and, if I remember correctly, while in prison they would try ingesting (a couple Tablespoons of) Cinnamon &quot;to get a real mean high&quot;. So, what's the goal nowadays?...? Wed, Mar 7, 2012 : 11:51 p.m. I read that book too, in the very early 1970s. I forgot that part of his story, but I do remember how he described the monotony of prison life and being visited by Muslims right after wishing for something to stop the monotony. Six years in prison, if I remember correctly. I can see why prisoners would look for anything to give them highs; I know how creative they can be in fashioning weapons to defend themselves against other prisoners. But that wasn't part of John Peter Thomas' story. &quot;... So far, neither hospital has admitted patients for inhaling cinnamon, respective media officials said...&quot; &quot;...Arthur Williams states a local youth recently was hospitalized for multiple days...&quot; So where was this youth hospitalized? Some hospital, some where... or is this another urban legend. What ever happened to kids just going out and smoking pot? Wed, Mar 7, 2012 : 11:58 a.m.
You know what doddering old grandparents also love? Whiskey. Still, that never stopped us from trying to get our hands on some in high school. Wed, Mar 7, 2012 : 2:30 a.m. Didn't you hear? Pot is now for old sick people, meaning it is no longer cool. Wed, Mar 7, 2012 : 1:37 a.m.
New game? Please. We tried this back in the 70's. Wed, Mar 7, 2012 : 1:16 p.m. I don't recall it. But we didn't have the Internet back then to spread the word. Kids, this is funny but in all serious don't do this with any other spices. Nutmeg is like the devil's MDMA-- swallowing a teaspoon of it will certainly give you a truly terrible high, probably put you in the hospital and conceivably kill you. The three things you should never put in your body (I mean, only including things someone might plausibly convince you it's a good idea to put in it): heroin, ketamine, nutmeg. Seriously, nutmeg is actually more toxic than almost every illegal drug out there. Wed, Mar 7, 2012 : 11:44 p.m.
Glad you think thyme is fine to use in recipes; I use it far more frequently than I do nutmeg. The last recipe I used cinnamon in is strawberry cobbler. Dianne Parish, I have more respect for young people's intelligence than to believe that. Notice how I didn't condemn all illegal and legal drugs? That's because doing so would be incorrect and dishonest. Smart kids see through that and often end up rebelling categorically--which can be dangerous. I would far and away rather see intelligent kids experimenting with weed + psychedelics, which might be of some benefit to themselves and society, than possibly kill themselves with nutmeg. What a ridiculous death. Unintelligent people should stay away from all drugs, for everyone's benefit. Wed, Mar 7, 2012 : 1:01 p.m. Wed, Mar 7, 2012 : 12:12 p.m. Homeland Conspiracy... well, not quite, and no. The covering of nutmeg seeds is known as mace. Originally the spray known as Mace was tear gas but nearly all of the Mace-brand products now are pepper spray. Wed, Mar 7, 2012 : 6:02 a.m. Wed, Mar 7, 2012 : 4:03 a.m. Wed, Mar 7, 2012 : 1:02 a.m. There is no such thing as &quot;too much butter&quot;. Wed, Mar 7, 2012 : 12:59 a.m.
Or some cinnamon toast with way to much butter. Put me in that contest! Wed, Mar 7, 2012 : 9:56 p.m. I have some with raisins. Yum!! Wed, Mar 7, 2012 : 12:58 a.m.
Who's up for some good old fashioned rice pudding! Wed, Mar 7, 2012 : 9:55 p.m. Me!!! I love the stuff. How much and when? Wed, Mar 7, 2012 : 12:46 a.m. Wed, Mar 7, 2012 : 12:44 a.m. If you look at the videos on the website, most everyone is NOT following the supposed rules, which is one TEASPOON. They aren't measuring the cinnamon out, they've just heaped up a spoon of it all. Wed, Mar 7, 2012 : 9:54 p.m. Mine does go to Pioneer and I just asked her and she said this is a new one on her. But then again if she did? I'd take her out myself. Another fun thing to amuse little brain.